With the launch of this series, Orient Electric aims to reinstate its thought leadership in the category while meeting aspirational needs of the consumers. The company is targeting to not only grow this category exponentially, but also build a dominant share in the next one year. He further added, “With rising incomes and aspirations, along with increased exposure to digital & global lifestyle and technologies, individualisation trend is catching up fast in consumer durables space. Consumers today want to have individualised solutions that make life simpler and experiences better. Our luxurious breed of mobile lifestyle fans is sure to interest the modern aspirational consumers and add glam quotient to their home and office interiors. 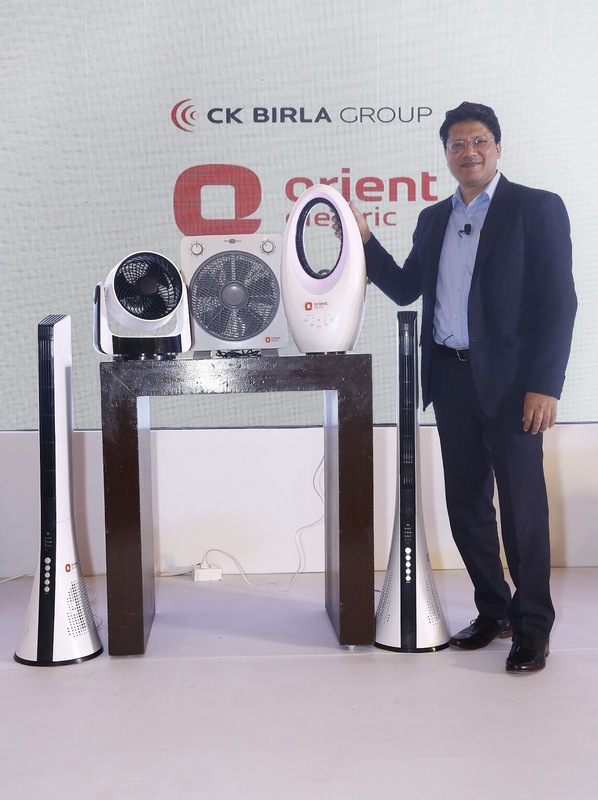 Orient Electric has launched four fans in its Lifestyle series. Orient Bladelessfan uses a combination of physics and aerodynamics, flaunting a distinctive design. The curvaceous fan has no blades and comes with a remote control, in-built mood lighting with four colour options and 7.5 hours of standby timer.Orient Monroe tower fan being so compact, can fit easily into any space big or small, be it your, kitchen top, shop or office workstation. The fan comes complete with 3 speed settings, in-built timer and remote control for ease of use. Orient Auctor comes with 3-D auto-oscillation feature which helps circulate air to every nook and corner of the room. Stylish and compact, Orient Auctor has a touch screen control, in-built timer function and remote-controlled operation for ultimate convenience. Last but not the least, Orient Proteus is a luxury box fan with compact design, super silent motor, vertical adjustment feature and 3-speed setting along with timer control. A trusted name in the global fans industry, Orient Electric today is the largest manufacturer and exporter of fans from India with brand presence in over 35 countries. The brand has received many awards and accolades including the prestigious Superbrand status for its steadfast commitment to quality and innovation.